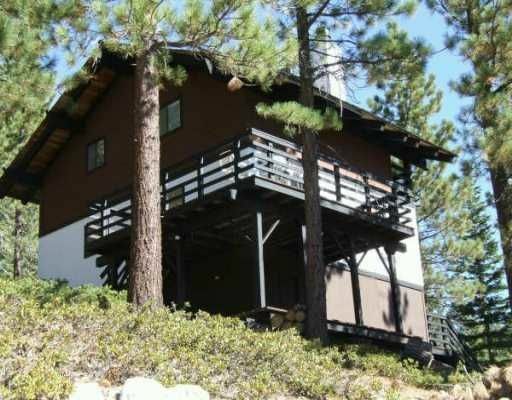 Beautifully remodeled Tahoe mountain home with Panoramic mountain views abound. The chalet features 4 ample sized bedrooms equipped with flat screen TVs and Internet TV, a large family room with 20-foot vaulted ceilings, fireplace and modern Tahoe style decor. The backyard consists of miles of beautiful Tahoe National Forest land. The Diamond Peak ski resort is a short walk away and other top resorts are only a short drive away. The cabin is located in the Tyrolian Village. Nature hikes and mountain biking start from the front door. Lake Tahoe and the desirable Incline Village beaches are only a few minutes away. Hi – we bought this house in the lovely Incline Village three years ago. We love the secluded qualities of the Tyrolean Village – some of the best hiking starts in our backyard and the beach is still only a few minutes away. We have tried to make our house special and to stand out by paying attention to the details: full kitchen with quality cookware, high thread count sheets, fluffy pillows downs and new furniture in Tahoe decor. Come stay, and enjoy!! Walk to Diamond Peak ski resort. We loved it was quite and great views. Need a little TLC, the cleaning person need to vacuum under the couch and remove cobwebs, but there was lots of room to hangout, watch movies and sleep! The steps up to the cabin were a little steep with snow and a little more lightning but the summer months will be better to rent. The bath towels were older and needed to be replaced. We read a review about the hot water, so we spaced shower time and that worked . The fireplace was nice just no wood? We picked some up at Raleys just down the street. We had some home cooked meals and we had all we needed to do it! We had a great time and would love to rent again. Its beautiful ! I loved it . We visited for a long weekend as a group of four young couples. The house was perfect for us, at a great price. Four comfortable bedrooms, great deck (no lake view but relaxing green scenery), kitchen with everything you need. The outside stairs are probably difficult in the winter with gear, but no problem in summer. Had to drive to trash disposal, which it seems is required in the neighborhood due to bears. Loved having access to the private beaches (although still $12/person) through Incline Village! The stairs and deck to house were in need of serious repair and not safe at night with Very little light. We also ran out of tp on second day. Overall the house was nice and bedrooms were great. We stayed at this home for 4 nights during Christmas week. Overall the house was nice, had 4 clean small fully enclosed bedrooms, a decent kitchen, and 2 working full bathrooms, plus a decently spacious dining area, living room area, and functional full kitchen. House was clean (not dusty like some older cabins) but not very well lit. It has a Roku with Netflix, HBO on demand, youtube, and other services. Not much in the way of board games for kids. The house feels a little out of maintenance, with some things not quite working. From a hotel luxury rating point of view, it's probably equivalent to a 2 star hotel/motel, and fairly priced for that level of accommodation. If you're looking for value and don't need granite countertops and other niceties, (and don't mind replacing some light bulbs etc. when needed) this could be the place for you. If you're a luxury seeker, you should go somewhere else and prepare to spend more $$. - About 15min drive to Mount Rose, 5min to grocery store. - Lots of plates/cups to go around, and nice big dining table. - Good temperature control with a Nest thermostat. - Reliable WiFi, had no issues with connectivity. - Owner answered phone every time when called for questions or issues, very responsive. - Some houses require you to virtually clean the house before you go (you sometimes wonder what the cleaning fee is for), but not here - no requirement to wash your sheets or any of that stuff before you leave. Makes for an easier checkout process. - Nice new washer/dryer in unit, with laundry soap provided. - No evidence of mice or any other pests, house was very clean. - Some broken fixtures/lights here and there, burnt out bulbs, etc. - Poorly lit, it's very dim everywhere. Could use brighter bulbs. - No covered parking, you have to park on the street. Great Cabin, Beautiful location, nice deck. Cabin is surrounded by nature and beauty. Great trails just around the corner. Very nice floor plan. Cabin was stocked nicely with what we needed to cook several meals. Please know the steps leading up to it are pretty steep, you will be very winded by the time you get to the top. Not for the injured, elderly or quick winded. Great work out. It was quite a challenge getting our big ice chest up there. We are located in the Tirolian Village in Incline Village.